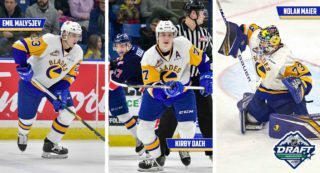 The Blades open up a busy week that includes 4 games, 2 at home and 2 on the road. 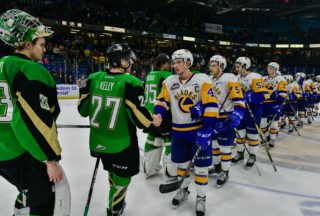 It’s game 4 of a 6-game season series in which the home team has emerged victorious in each of the previous 3 meetings; Saskatoon leads 2-0-1-0. 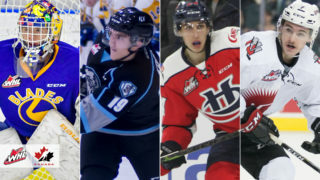 Saskatoon is trying to fend off the surging Moose Jaw Warriors in the East Division race to maintain a home playoff position while the Wheat Kings try to get back into the post-season picture, currently sitting 6 points out of the final wild card spot in the Eastern Conference. 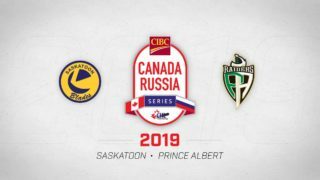 Gary Haden (24,25) and Max Gerlach (29) did the scoring in a 4-3 overtime loss on Saturday in Saskatoon to the Edmonton Oil Kings. Nolan Maier made 31 saves in the 1-point decision. Meanwhile, the Wheat Kings will look to bounce back after being shutout 5-0 in Medicine Hat on Saturday. 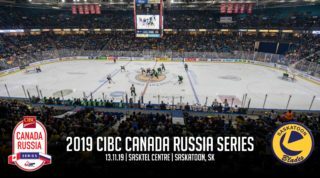 Saskatoon leads the season series 2-0-1-0 with veteran defender Brandon Schuldhaus leading the Blades’ offense with 4 assists. 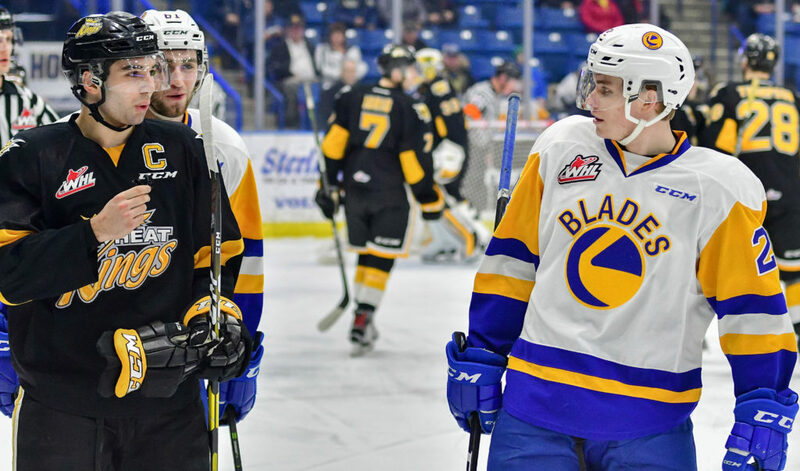 The Blades will look to buck the trend of the home team winning tonight on the road in Brandon. Max Gerlach has 3 goals in the series. Luka Burzan has 1G-5A to lead Brandon.